For those of us who just finished weathering the tide of the new GDPR regulations, and are still neck deep in Brexit, this year is shaping up to seem a very daunting year indeed. The uncertain environment that we now find ourselves in, thanks to Brexit, is a cause for considerable concern where company finance is involved. Businesses importing and exporting across EU borders are at risk due to the new regulations and the affect they may have on border controls, tariffs and supply timelines. Although Jacob Rees-Mogg assures us that the UK is in a strong position to retaliate against unfair tariffs it could still mean company budgets are strained due to additional costs from managing these changes. The advice here is to keep your overheads to a minimum and build reserves so that unexpected payouts aren’t too much of a shock. For example, companies who use virtual assistants in the UK have found it a much more cost-effective solution than permanent PA recruitment – and they’ve also realised that it allows you to adapt quicker during periods of change. According to the Institute of Directors (IoD), not only is cybercrime on the rise, but SMEs are bearing the brunt, with the cost in 2018 approaching £25,000. The Allianz risk barometer now shows cybercrime at the number one spot for medium-sized companies and shows a jump from 6th to 2nd position for small companies in the last year alone. This, in part, is due to the increased attention on data breaches from these same companies and their insurers, but it also reflects a genuine proliferation of incidents across society as a whole. Among the steps SMEs can take, top of the list should be investing in up-to-date security software. Following this, ensuring that systems and procedures are in place (including PR and comms-led responses) for leaks, hacks and other forms of attack is vital. Another big part of the Brexit debate is the impact on EU workers, which comes at no small risk to businesses employing non-UK nationals. If this is you, then you may have noticed that there is currently next to no guidance on obtaining settled status in post-Brexit Britain. According to Chris Brazier, adviser to the Chartered Institute of Personnel Development (CIPD) and BP Collins business immigration lawyer, this is having a knock-on effect across the economy, particularly for SMEs. Advice? At the very least, carry out an audit – identify who may be caught by any new immigration controls and who would be eligible to apply for settled status. At PABS our stringent checks make sure that the PA services we provide presents zero risk to our clients’ day-to-day operations. This ensures that the provision of virtual personal assistants (VAs) help form a robust and settled workforce that contributes to the growth and productivity of their businesses. If you haven’t already appointed a dedicated IT person or GDPR officer, then we’re afraid you are cutting it fine – but you’re not alone: this is something many companies leave until the last minute, or when something goes wrong. 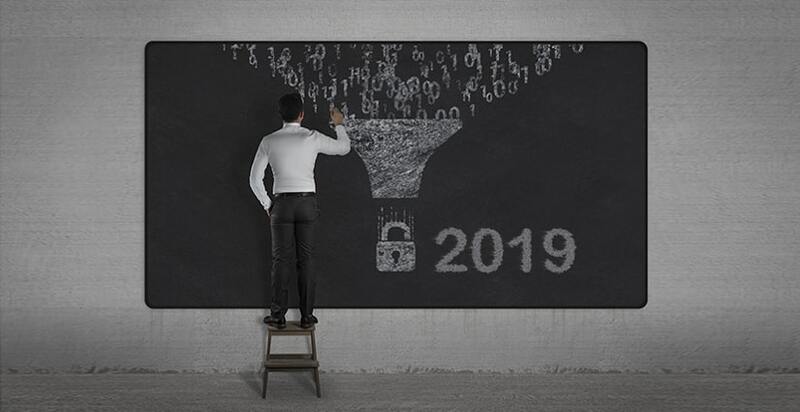 However, with the increasing reports of GDPR fines in the news over the past few months, it should definitely be one of your New Year’s resolutions if you value your company, and indeed your reputation, remaining intact in 2019. The EU referendum has sparked a lot of volatility in the currency market. According to a new study by leading SME partner, Bibby Financial Services (BFS), over two-thirds of SMEs say this has left them disadvantaged. For businesses with foreign exchange requirements, the estimated impact over the last 12 months has been in the region of £70,000 each. Ways to combat the fluctuating market are as follows: first, get your forecasts in order, so that you can see what payments will be coming in; second, don’t overcomplicate your foreign exchange strategy – make sure it protects the business’s bottom line; lastly, speak to a specialist – better still, hire an international payments specialist who can monitor the market for you 24 hours a day. Even though the risks for SMEs in 2019 appear to be a veritable minefield, there’s a more optimistic side to all this. The increased focus on Cybercrime and Data Security also means that knowledge and expertise across all industries is improving (with many great resources and services available online). At PABS, all our PAs and VAs are trained in best practice when it comes to both. Likewise, Brexit-induced volatility may be shocking for now, but it also comes with a number of growing opportunities thanks to a changing market – if you can stay on top of the changes and react quickly then your business can stand to gain. Hiring a VA is an excellent way to free your business from the long-term shackles of a permanent workforce and adapt easily to change when the time comes. So our recommendation? Treat 2019 as the year of the big break – it’s your chance to beat the competition and put yourself ahead of the curve.